Abram Ilich Yampolsky was a Russian (Ukrainian) violinist and teacher born on October 11, 1890 (Igor Stravinsky was 8 years old and would live an additional 80.) He, along with Peter Stolyarsky (in Odessa) and Leopold Auer (in St Petersburg) is known for having developed some of the greatest Russian violinists of the twentieth century – Heifetz, Kogan, Oistrakh, Markov, Milstein, Elman, Sitkovetsky, and quite a few more. He studied with Sergei Korguyev in St Petersburg, graduating in 1913. Some sources say he actually also studied with Auer as an older student. He played in the Lenin Quartet with Lev Zeitlin, Ferdinand Krisch (viola), and Gregor Piatigorsky (Piatigorsky was 16 years old.) As far as I know, they never recorded anything. He taught for many years at the Moscow Conservatory, but I don’t know exactly how many, possibly as many as forty – in 1955 he was still teaching there. Among the awards the Communist Party bestowed on him were Honored Worker in the Arts and Honored Artist. 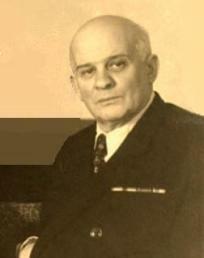 Among his famous pupils are Igor Bezrodny, Boris Goldstein, Elizabeth Gilels, Yakov Rabinovich, Isaac Zhuk, Yuri Yankelevich, Michael Fikhtengoltz, Julian Sitkovetsky, and Leonid Kogan. Yampolsky died in Moscow on August 17, 1956, at age 65. It would be very useful if this bio provided sources for the information!